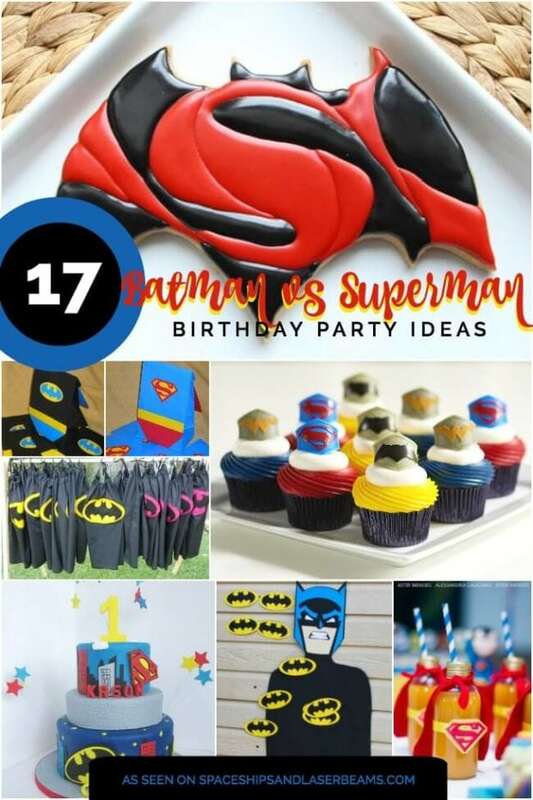 Has anyone in your household requested a Batman-themed birthday party? I’ve found some of the best ideas for birthday party decorations, cake pops, cakes, party supplies, favors, costumes, games and so much more. My favorites include the caped chairs, place settings and Justice League glasses. The hanging paper bats, bat garlands and superhero training game are pretty cool too. If you want to take your party to a whole new level, check out the Gotham City backdrop, bat favor holders, Batman cape, costume and cuffs, Batman-themed beverages, Batman grilled cheese, DIY bat piñata, and even the bat light. Go on and explore each of these sites and you’ll discover even more Batman inspiration. Now all you need is to find Robin and a life-sized Batmobile! Create this fun DIY Mini Superhero Shield, perfect for little superheroes. Plan the ultimate party with this Superhero Training Academy 4th Birthday Party. Check out these 17 Awesome Batman vs. Superman Party Ideas! 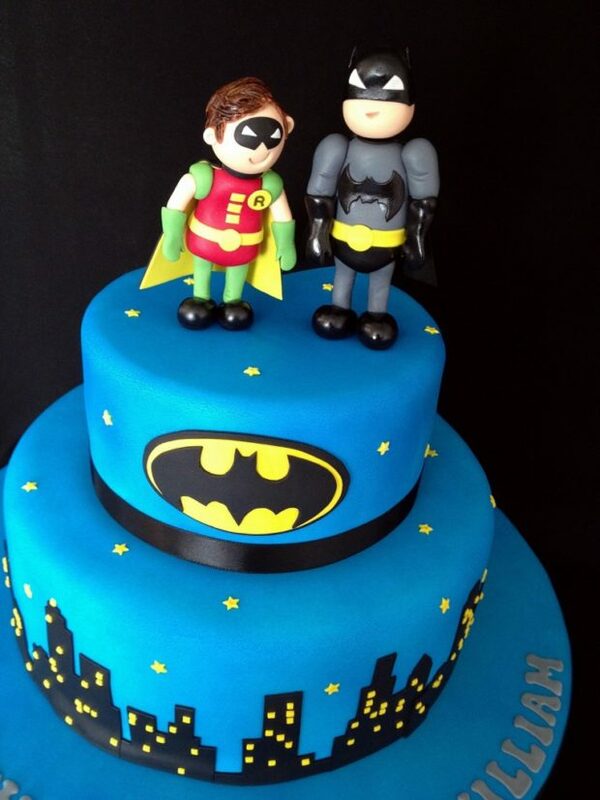 If you need inspiration for a Batman party cake, you’ve come to the right place! 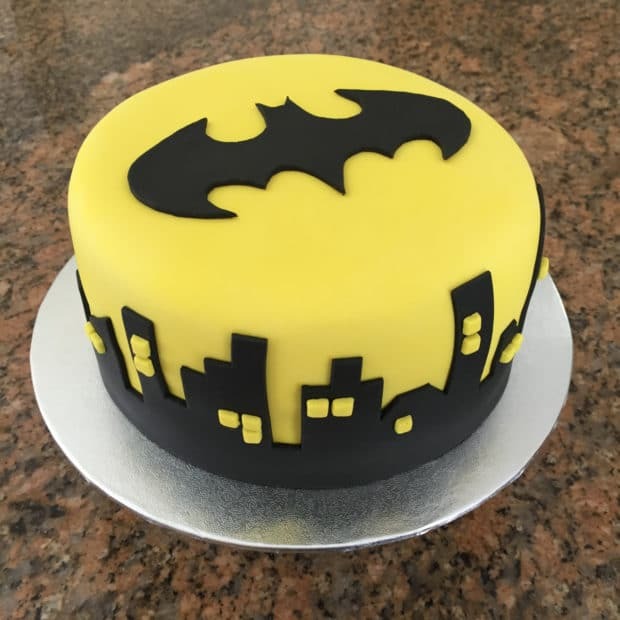 This Batman cake is completely homemade and includes a Batman topper molded out of fondant! Don’t flash the bat signal just yet! Help for planning an incredible Batman dessert table is just a click away! There are so many theme- and color-coordinating treats on this Batman table. Guests will love seeing Batman’s infamous signal on cake pops! A fondant Batman and cityscape plus personalized name and age detailing make this Batman cake one for the memory book! Don’t miss the details! It’s a bird. It’s a plane. No, it’s an entire super hero dessert table featuring an amazing printable cityscape backdrop and a cake and treats to represent everyone’s favorite superheroes, including Batman and friends! DIYing your own capes for a Batman party is a brilliant idea. Displaying them on the backs of your party chairs for decoration is even better! What a fun way to connect your dining area to your theme! Dress up place settings at a Batman party to represent characters. A few creative additions turn an ordinary Gotham tablescape into one fit for Batman, Penguin, Catwoman, Joker, Poison Ivy and Robin. Your guest will love seeing the details at each place. It doesn’t get any easier than using a bat template to create hanging bats out of paper! Make one or dozens to bring the proper Batman vibe to your party. This bat garland is perfect for decorating for a Batman party! Simply trace a bat pattern on felt a dozen times, cut and sew together! 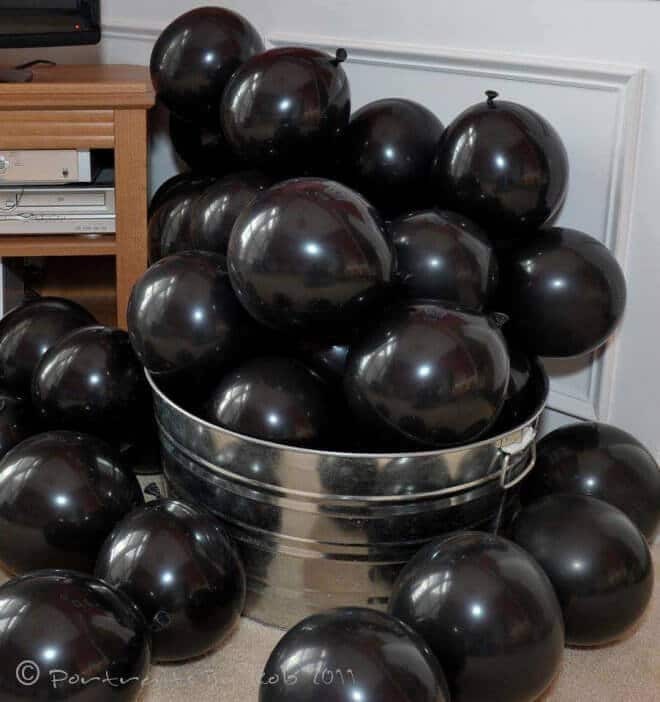 Fill each balloon “bomb” with a small trinket. Little superheroes receive instant gratification when they “diffuse” bombs and discover the hidden rewards. Now you can DIY your own Gotham city backdrop! This tutorial uses a blue full-sized flat sheet for the sky and a yard of black felt to create the buildings! Fabric glue ties it all together! Print off this free bat treat template and easily create bat favor holders for your Batman party! There are some precision cuts needed, so adult supervision is recommended when the X-acto knife is in use. 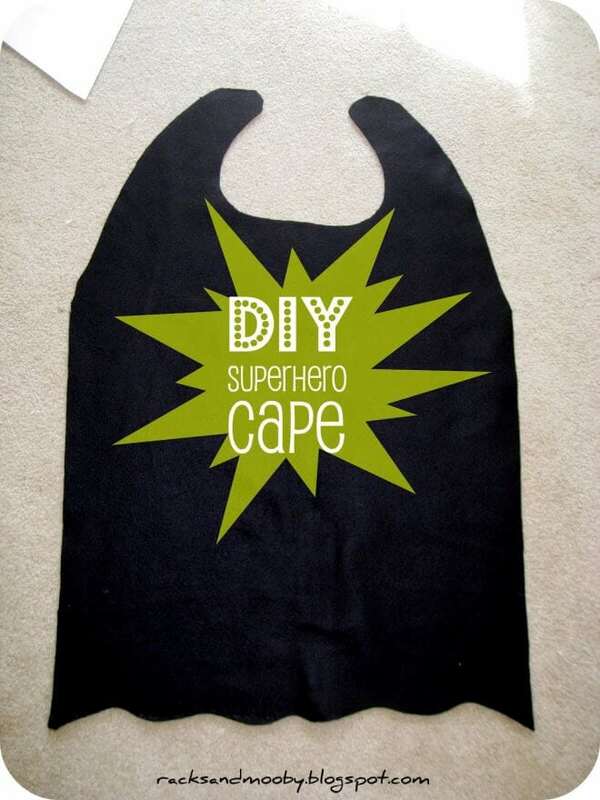 Use fleece or felt to make an inexpensive, no-sew cape. Supermom tip: Google search a Batman logo template and use that fabric glue to hold it all together. We’re going crazy over this DIY Batman costume tutorial! Not only is it inexpensive, it’s pretty easy to do! Your birthday boy will definitely love dressing in character for his party! Instantly transform guests at your Batman party into their favorite character with these free printable Batman Superhero cuffs! These can be made in 5 minutes from toilet paper rolls, glue and paper! Print off the free cuff wrapper and add some buttons for a techy look. Create an awesome superhero-inspired city skyline from recycled cardboard boxes! This Batman box city came together with some coats of spray paint and the addition of rectangle windows cut from cardstock. Keep guests entertained with plenty of Batman party games! You’ll love this Superhero Academy, which included a backyard obstacle course, leaping buildings in a single bound (hay bales), rescuing Superman from the Bat Cave, unfreezing Batman and Robin, and a few other fun games! Adding some fun to your Batman party drink station is easy! With a few creative name changes, you can easily serve up some Batman themed drinks like “Penguin Punch” and “Joker Juice”. Don’t forget the “Mr. Freeze” ice cubes! Wondering what to serve at your Batman party? How about Bat-shaped grilled cheese, made with the help of a cookie cutter? Turn those empty toilet paper rolls into bat piñatas! They are mini, which makes them a perfect Batman party favor idea! You could even have guests help you craft them at an activity station. Send out the bat symbol straight from your Batman party headquarters! This bat light made from a Pringles can is pure genius and easy enough for anyone to create. This 12-cavity Batman ice cube tray may just make you the superhero of the beverage station at your child’s Batman party! Kids will love seeing the famous bat symbol floating in their drinks! Get ready for your own batman birthday party with these supplies gathered by the Spaceships and Laser Beams team.